Possibly the Future of the Acoustic Guitar? 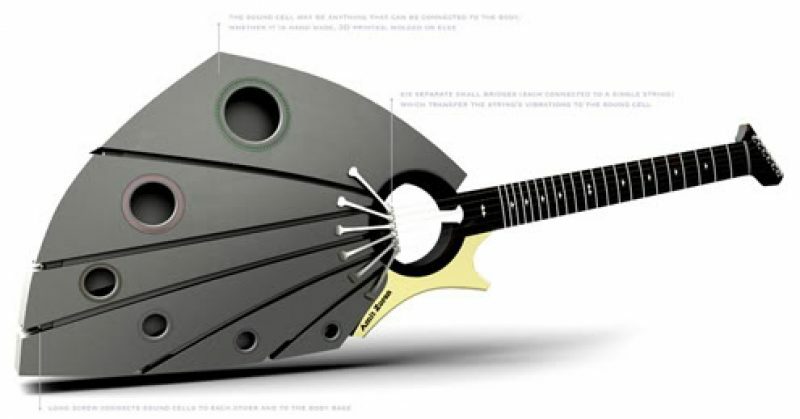 As far as I am aware, the reAcoustic guitar by Amit Zoran is only at this stage a concept. A virtual guitar. Nevertheless, it's an interesting concept: an acoustic guitar with individual bridges and corresponding individual carbon fiber sound chambers for each string. Part of the concept seems to be that the guitar would be modular; the player would be able to swap out and change the sound chambers depending on the tone they were looking for. I have to wonder what it would sound like. Would there be any real advantage to having individual sound boxes for each string? I guess the only way to find out would be to build a prototype.